The confidence you exude to others is a major player in the results you experience in life. Unfortunately, it is not something that can be learned and there are no set of rules to follow because healthy self-confidence is actually a state of mind – a result of the feelings of acceptance and self-love of mind and body as well as a firm belief in skills, ability and past experience. 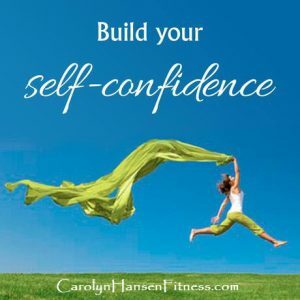 Although confidence is closely related to self-esteem, they are not the same thing. 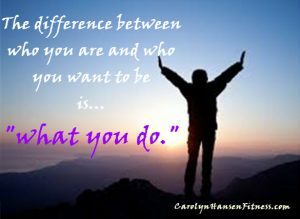 What we do, say and think (feeling worthy or not) is reflected in our self-esteem but how we feel about our ability to successfully perform any tasks, roles or functions assigned to us is reflected (or not) in our confidence. Often times, those with low confidence also suffer from low self-esteem but those with good self-esteem can also suffer low confidence. How we feel about ourselves, the way we look (someone who is proud of their appearance presents themselves differently – they come across as secure about who they are and what they say) and think (feeling worthy or not) is reflected in our self-esteem but how we feel about our ability to successfully perform any tasks, roles or functions assigned to us is reflected (or not) in our confidence. Successful entrepreneurs and business people know that a healthy body breeds healthy self-confidence and healthy self-esteem and because of that, they wholeheartedly embrace healthy living. Without strong self-confidence driving them, they cannot approach or secure investors, gain funding or sell their product successfully to customers. In other words, they must be at the top of their game if running a successful business and influencing others is important to them. Entrepreneurs are full aware that success is built upon healthy confidence and self-esteem levels. They understand the principle that it’s not about working harder but working smarter with all their faculties working for them not against them. Successful entrepreneurs have their priority list in order and they treat their health as a lifestyle not an occasional occurrence. They are fully aware that a few weeks without challenging exercise or eating a consistently poor diet can and will begin to have severe negative implications on their health and body. Not something any of them can busy entrepreneur can afford to take lightly. The reality is, they cannot function at peak performance and be in great physical shape if their eating and exercise habits are not healthy and consistent and neither can you. Working on your physical appearance with challenging exercise (liking the image you see reflected in the mirror goes a long way towards boosting your self-confidence) and proper eating habits is the quickest and surest way to build your self-confidence levels and boost your self-esteem. They are key ingredients to feeling energetic and confident. When the body receives what it needs in the way of vitamins, minerals, fats and proteins, and it gets the right amount of challenging exercise, it shows in your appearance making you feel better about yourself automatically. Find a role model – or a few of them and watch and learn from those that are successfully fulfilling their goals and dreams. Bask in their light and allow their healthy self-confidence, eating and exercise habits to rub off on you. Most importantly, be patient with yourself. Don’t expect instant results but give your self-confidence and self-esteem a chance to grow and get strong. Learn to trust in and take baby steps, each one making you that much stronger. Focus on exercise because it not only promotes a lean healthy attractive body (one you will be proud of), it boosts your hormonal levels by stimulating the production of endorphins – your feel good brain chemicals. So, not only does your body gain benefit with exercise but your mind and mood does too. As a bonus, healthy self-confidence also breeds assertiveness – an important trait in standing up for yourself and your beliefs (being your own person) and not giving way to someone else’s ideas. Break the cycle of no exercise, poor eating habits, low self-confidence and poor self-esteem and replace it with a positive cycle of challenging exercise, healthy eating habits, healthy self-confidence, high self-esteem and healthy assertiveness. Truth is, our mind and body are intimately linked – our bodies are affected by what’s in our minds and our bodies (how they look and how they feel) can also change how we feel emotionally. Bottom line is this: when you are confident about your body the chances are much greater that you will feel this confidence in other areas of your life such as business and relationships. Remember, positive people feel good about themselves and this translates to self-confidence and strong self-esteem. That’s what you want to attract in your life. Check out “Super Productivity Secrets.” It is the ultimate lifestyle, fitness and success library developed and written for entrepreneurs and others that are ready and willing to operate at full capacity. What we eat affects more than just our physical appearance. What we eat also affects how well our brain is operating. Truth is, diet matters for both the body and the mind and choosing the right foods can considerably boost brain power and kick your memory into high gear. For example, it has been proven that antioxidants reverse age as well as disease related memory and learning deficits. 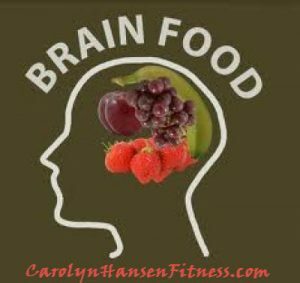 So, if brain power and cognitive performance are important to you, opting for foods high in antioxidants would be wise choices. Some antioxidant rich food choices are: berries – especially blueberries, fruits and veggies such as spinach and carrots. Green tea and even dark chocolate (always in moderation) are also great sources. Omega-3 fatty acids are healthy brain fats. They are essential for sustaining optimal memory and overall brain performance and fresh fish is abundant with them. Enjoying fish such as salmon or sardines a few times weekly helps your memory improve. Medium chain fatty acids are a source of high energy for the brain and they are abundant in coconut oil. This makes coconut oil the perfect brain fuel. It is the ideal high temperature healthy cooking oil because it does not turn to harmful trans-fat when used at high temperatures, You can consume coconut oil as it is, mix it in your morning coffee, smoothies or even yogurt. Be sure to purchase cold-pressed coconut oil. Another super power when it comes to boosting memory, a recent paper published in Annals of Neurology revealed that women who consume large amounts of berries experience a slower rate of memory loss. Additionally, berries offer high levels of flavonoids and anthocyanidins…both associated with lower rates of cognitive decline. Blueberries are especially good at protecting our brains from stress and degeneration. Strawberries are another great choice. Thought of as brain food, this tasty nut is even shaped like a little brain, a huge hint from Mother Nature to its effectiveness. It is empowered to boost memory and is an excellent source of the omega-3 fat alpha-linolenic acid which the body uses to make DHA. It also contains the antioxidant ellagic acid that helps to protect the brain from free-radical damage. Often thought of as a vegetable, avocados are, without doubt, one of the healthiest fruits you can consume when it comes to boosting brain power. They are empowered to help protect against stroke by preventing blood clots in the brain. Rich in vitamin K, B, vitamin C and folate, they help improve both memory and concentration. Among all fruits, the mighty avocado provides the highest protein and lowest sugar content of all fruits. High in cancer-protecting antioxidants, beets help rid your blood of toxins and boost blood flow to the brain helping mental performance. These red to purple beauties are some of the most nutritious plants you can consume. Empowered to boost brain power, broccoli is one of the best brain foods readily available to us. Loaded with vitamin C, just one cup provides 150% of the daily recommended intake. It is also high in vitamin K and choline…both important to keeping memory super sharp. Now that you know some of the powerful foods that help boost brain power, you need to be aware of what destroys it. Sugar. A high sugar diet can be very harmful to your brain. 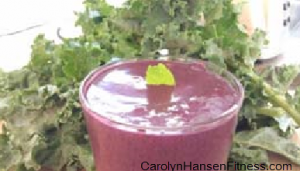 It induces inflammation, oxidative stress and messes with insulin regulation. You are in control of what goes into your body. Why not do all you can to nurture a healthy brain? It clearly makes more sense to choose foods that contribute to the health, functionality and vitality of your brain rather than those that deplete it. Being a successful entrepreneur requires a lot of brain power so keeping your brain in tip-top shape along with your body should be at the top of your “to do” list. “Super Productivity Secrets” was written for entrepreneurs ready and willing to operate at full capacity. It is the ultimate lifestyle, fitness and success library. Discover the missing strategy that has kept you from reaching the level of success you dream about. Entrepreneurs are always looking for ways to increase productivity and be the “best they can be” at their business/craft. They are fully aware that the health of their business requires the health of their body and mind first. No one can make wise decisions when their bodies and minds are preoccupied with trying to get healthy. Productivity requires both the body and mind to work together at peak performance. Since all decisions affect our lifespan and the quality of life we lead, we must learn to treat our bodies as a business. One that requires attention and the proper tools to run efficiently. Check out these 7 lifestyle choices that not only increase your productivity but boost your resistance to stress. Stress is an energy thief. Less stress means more productivity. You must first be in the right mindset that understands and accepts that health is your greatest asset and cannot be compromised. Exercise must be viewed as a mandatory activity because a healthy body cultivates a healthy mind and it must be supported with a healthy, natural diet. It is ultimately important to schedule your healthy lifestyle choices (such as your fitness routines) on your calendar the same way you would any business appointment/schedule. This places priority status in your mind and your exercise sessions become a scheduled “appointment” rather than a negotiable activity. It’s important to track how your feel, how you eat/sleep, how much you weight and how much energy you have. 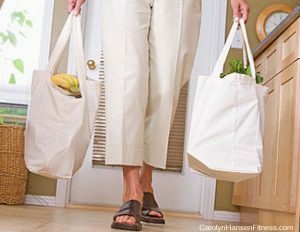 This clues you into whether your lifestyle choices are working or not. If you are not happy with the results then it will be up to you to make changes, modify and improve your fitness and nutritional plans. Understand from the get-go that you will “fall off the wagon” at some point. It’s just part of being human. This is a blessing if you look at it with the right perception. The energy it takes to life yourself up and get back on track will boost your resolve and make you stronger. Fresh air and sunshine does amazing things for your spirit. Like walking outdoors, spending time in nature reconnects us with this powerful force. Even a brisk, short walk will do wonders. Fresh air, vitamin D (from the sun) and exercise…the perfect formula for health and success. Contact someone you trust and share some quality time. Your spirit will respond. Your journal can be your best friend. It’s always there for you no matter your mood. You might be surprised at how it can clear your mind when you release your thoughts into it. It’s time to treat yourself – to pamper you. Loving you is the greatest gift you can give yourself. Music more than anything can incite moods. Listen to something uplifting – something that touches your inner spirit and makes you happy. TV is not all bad. Sometimes it’s the perfect avenue to lift lagging spirits and help us put things into perspective. Many comedies poke fun at life and this helps us to do the same. Turn on your favorite comedy and have a good laugh. Like taking a nature walk, it’s therapeutic to work with living things. The energy we feel is healing. The important thing is to stay active during your day. Sedentary lifestyles shorten your lifespan. They are age accelerators. Staying active (with some sort of strength training involved) combined with smart, healthy eating is key to enjoying a long, healthy life. Healthy living is key to productivity – it’s hard to be productive from a hospital bed. Start your day right with a super healthy breakfast. Then keep your energy levels up and your mind clear and sharp with balanced and nutrition meals and snacks throughout your day. Discover the missing strategies that have kept you from reaching the level of success you dream about. “Super Productivity Secrets” is the ultimate lifestyle, fitness and success library. It was written for entrepreneurs ready and willing to operate at full capacity. Discover the missing strategy that has kept you from reaching the level of success you dream about. Since stress is often an open gateway to a myriad of other health issues such as fatigue, depression and anxiety, failing to manage stress (all too prevalent in an entrepreneur’s life) can have dire consequences on health. Looking to get the most out of your day? Do you see the value in being alert, sharp and clear in mind when making business or even personal decisions? Are you struggling to lose weight? Part of being fit and healthy includes the kind of sleep we are able to get each night. Without a doubt, sleep is critical to success. It effects our executive function – the area of the brain responsible for decision making. Studies show that sleep deprived people suffer memory impairments, vision disturbances, slower reaction times and in more severe cases lack of quality sleep can even create a similar effect that being intoxicated has. It lowers the health of the immune system, raises the risk of cardio vascular disease, increases stress levels and emotional reaction. On the other hand, quality sleep provides more energy and focus for the day – traits entrepreneurs must own and display. Healthy entrepreneurs have learned that participating in regular fitness helps them to get the kind of quality sleep they need at night in order to perform at maximum capacity with full clarity the next day. Their sleep is deeper and sounder than if they had not exercised, Like a true entrepreneur, they capitalize on that. Caffeine can easily keep you awake at night and make it hard to fall asleep. Be aware of any products you use throughout the day that may contain caffeine – especially going into afternoon and evening hours. Eat Early – eating large meals too close to bedtime can make it difficult to fall asleep. Eat your bigger meals earlier and enjoy a light snack in the evening. One containing protein and fat is ideal. Try and stay away from the sugar and starch. Simple carbs (sugary snacks) provide a quick burst of energy followed by a sudden crash. This disturbs the quality of sleep. Exercise Early – Exercise revs up your metabolism causing you to have too much energy making it hard to sleep. Avoid alcohol before retiring – Although alcohol may initially help you to fall asleep it will actually wake you up in the middle of the night. If you enjoy a glass of wine before dinner try and schedule it so that you have at least 3 hours before you’ll be retiring for the night. Eliminate the noise and light – the optimal sleep environment is cool, dark and quiet. Avoid charging phones and other technology devices in your bedroom so you can avoid the “glow” they give off. Gadgets force our brains to stay active so if you are trying to relax you are working against yourself. Try reading a book or conversing with your partner to unwind. Wake up with the sun. Getting sunlight to start your day is the perfect way to rest your circadian rhythm which helps to ensure that you’ll be tired at night. Sleep deprivation has also been linked to obesity because it makes you hungrier by boosting the stimulation of the hormone ghrelin and reducing the levels of leptin (the satiety inducing hormone). It raises the risk of diseases such as type 2 diabetes. Bottom line is sleep has a powerful effect on your well-being and success. Proper fitness and healthy nutrition help to ensure that the sleep you do get is high quality sleep. Your brain will be refreshed and ready to tackle whatever comes its way. You’ll remain calm under pressure and your decisions will be made with clarity and decisiveness.